The act of ushering in a new season offers the potential for a refresh; a new mindset perhaps, or simply a new mood. 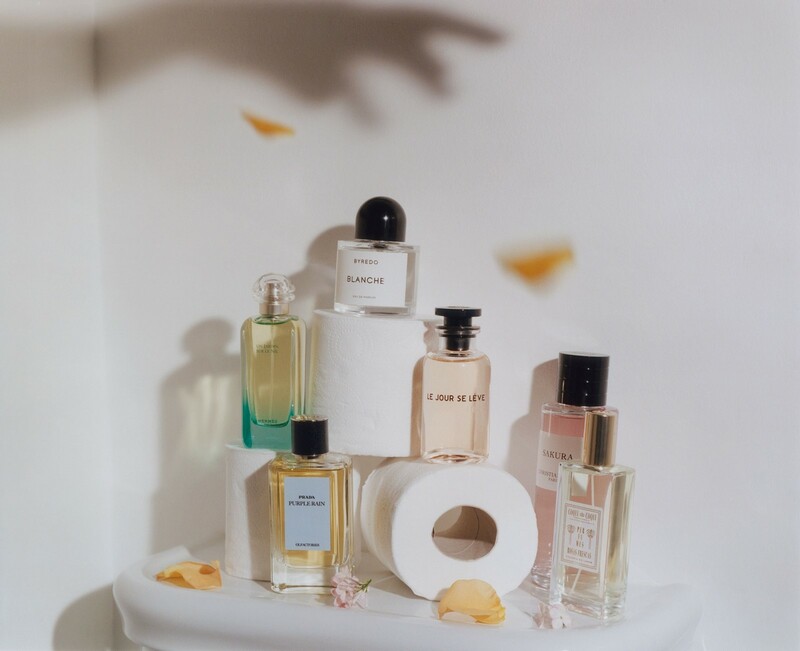 And as a slew of new scents hit the shelves, we take stock of fragrances old and new – each of which offers a magic moment of olfactive transportation into the new quarter. With options to elevate everyday activities and the most domestic of scenarios, the notion of clean takes on nuance and sensitivity with our best hits. Le Jour Se Lève is a new addition to the Louis Vuitton catalogue courtesy of the maison’s master perfumer Jacques Cavallier Belletrud. Translating to ‘daybreak’, it’s a sparkling juice in which Belletrud sought to capture the rousing dawn with the promise of a heavy, sundrenched mandarin. Softened by a round sambac jasmine and a sweet blackcurrant accord, the squeaky, oily note of the citrus zest is green, wet and bitter – a waft of early morning air complete with dew. With Blanche, Byredo’s founder Ben Gorham wanted to create a fragrance almost transparent in nature – it’s a remarkable success. Cue blonde woods and creamy white petals which, when combined, are so light they offer almost an inversion of scent – a gap, a draught – an inhale as cool as a kick of sugar, or a chink of ice. 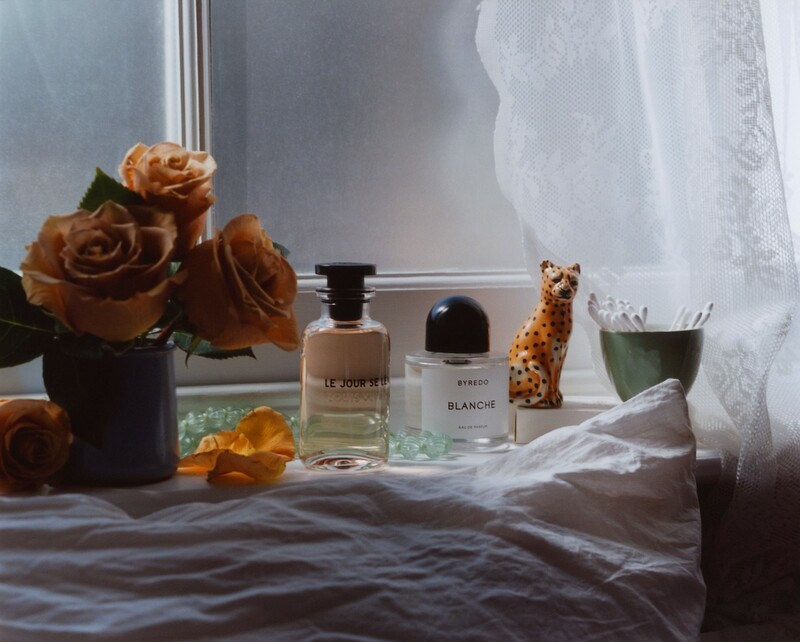 Morning light lingers in these eau de parfums like bed linen dried in the sun, but that freshness dips with the early mist in a drydown that segues softly into afternoon. Laundry needn’t be a humdrum household task – adopt an old school floral linen water to lift the banality of making the bed. Marie-Stella-Maris’ Eau de Lavande No 97 lends a medicinal cleanliness to laundry whether sprayed onto air-drying sheets or steamed with the iron – should you be the kind inclined to press your duvet covers. Coqui Coqui’s Rosas Frescas cologne for linen hails from the brand’s Tulum spa, the idea being that you can harmonise both your linens and guest rooms, should you have one of those. For Comme des Garçons’ Amazingreen, Jean-Christophe Herault summoned the verdant greenery of the jungle through palm leaves, dew and even green bell pepper. Deepened with smoky gunpowder and effervescent spices, it’s a deeply herbal concoction – an onsen bath in a cedarwood tub, deep-set in the great outdoors. Prada’s Purple Rain is equal parts nappy cream and wet tarmac, tied together with a blousy iris note. Evocative of English April showers, it conjures wet petals hanging on Ezra Pound’s black bough – just in a concrete-clad South London garden. Un Jardin Sur Le Nil marks legendary nose Jean-Claude Ellena’s second garden outing for Hermès. Its unusual character leaves this fragrance often overlooked in the master perfumer’s roster – biophysicist and perfume writer Luca Turin referred to it as the “somewhat sullen” member of the early 00s jardin range. However, leaning towards the bitter crunch of unripe green mango, this scent is as refreshing and as welcome as a tropical rainstorm. 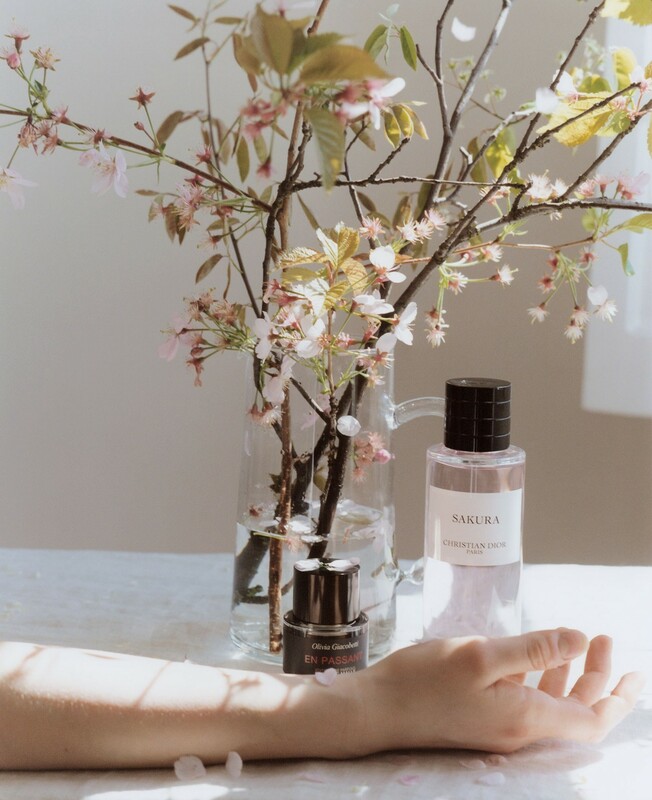 François Demachy’s brand new addition to the Maison Christian Dior range is Sakura. Built from raw materials including Japanese cherry blossom and rose, it may be the quintessential spring scent. It’s #BlossomSpam for your collarbone. Sparkling and dewy at first spritz, the eau de parfum dries down with a soapy creaminess offset by almost over-ripe pollen. 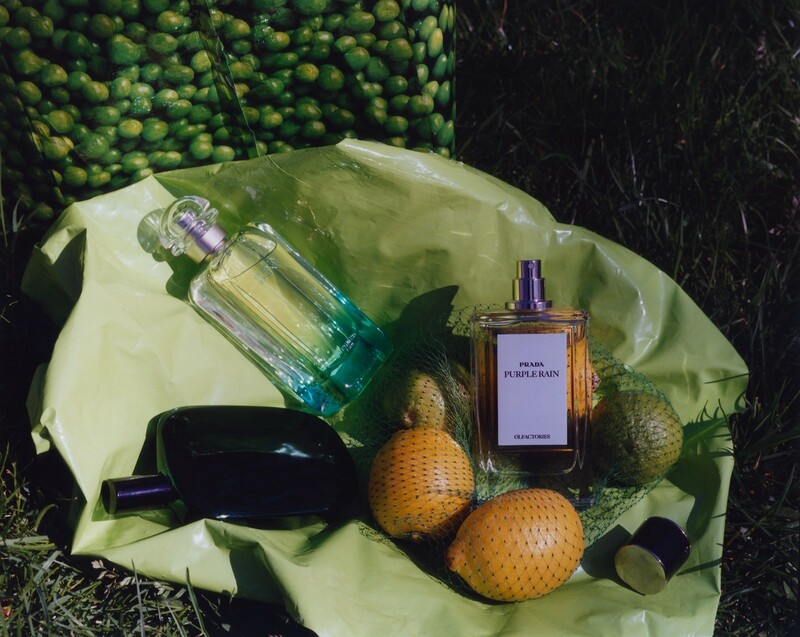 For En Passant, Olivia Giacobetti set out to paint “a soft breeze, full with the scent of budding lilacs” for Frédéric Malle. Offset with a breath of cucumber absolute for “airy freshness” and the scent of warm skin “bound up in wheat, cedar and white musk”, this scent reads also as a very literal whiff of that soft lilac flower. It’s one of those garumpfing sniffs – the kind you only take as spring, long forgotten, begins to unfurl. What’s more indulgent than an afternoon shower? Fling the window wide and let the steam billow into the sunlight. 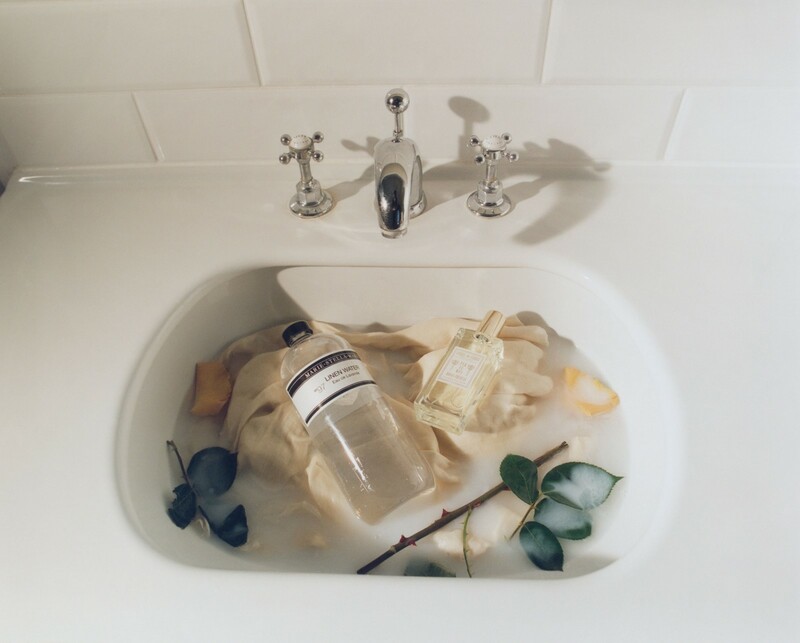 If time does not allow, a quick spritz of these squeaky clean florals can evoke a similar feeling. While Serge Lutens’ Nuit de Cellophane is an ode to the veiled world of haute couture, its notes of jasmine, osmanthus, carnation, lily and milky almond point more to the soapy sanctuary of the bathroom than a couture atelier – though in both one can find clean white surfaces, methodical ritual and just a little mythology. 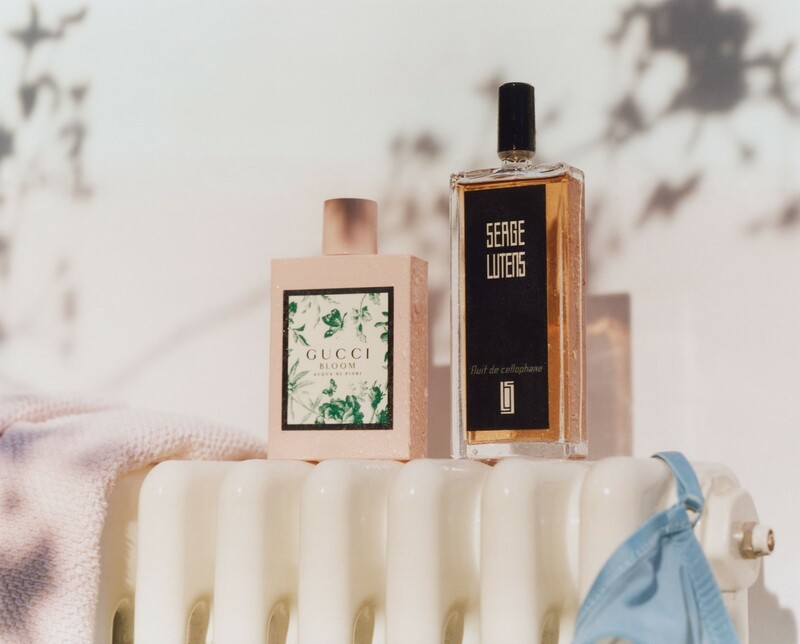 Gucci Bloom Acqua di Fiori offers a greener take on the first rich and blousy fragrance designed under Alessandro Michele’s direction. Created by Alberto Morillas, this eau de toilette riffs on the creamy white tuberose and jasmine blooms of the original, but this time with galbanum, a bitter resiny wood. Instead of sinking into the skin this one bubbles, like a foam lather in the bath.